If you love reading “stimulating, engaging, clear, accessible, and high-quality” science books, then you are going to love this: the Royal Society of London just announced the shortlist for this year’s Winton Prize for science writing. This Prize recognises and rewards books that make science more accessible to public adult audiences. 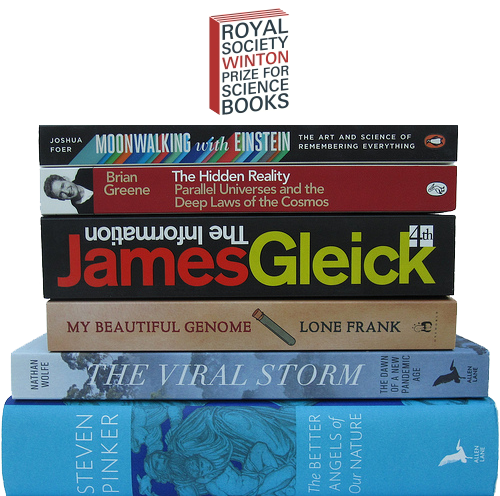 “This year’s shortlist is made up of fascinating, provocative books that really made us think about ourselves and the world around us — and parallel worlds”, Professor Jocelyn Bell Burnell DBE FRS, chair of the judges, said in a press release.